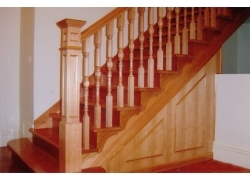 Custom Staircase Components	There are 2 products. 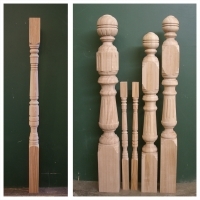 We are specialists in CUSTOM wood turning and CUSTOM wood machining with over 25 years’ experience. Our skilled staff can custom match existing staircase components, re-produce custom products, and re-create products from images and samples supplied. 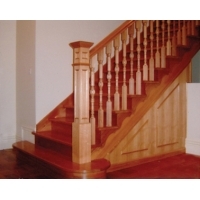 Examples of the custom staircase products manufactured by Ryan Woodworks throughout the years are shown below.